Beverly: Christopher Swain of Toxtour loads used electornics into the back of a truck Saturday morning during Beverly Bootstraps' Ethical Electornics Recycling Benefit Event. 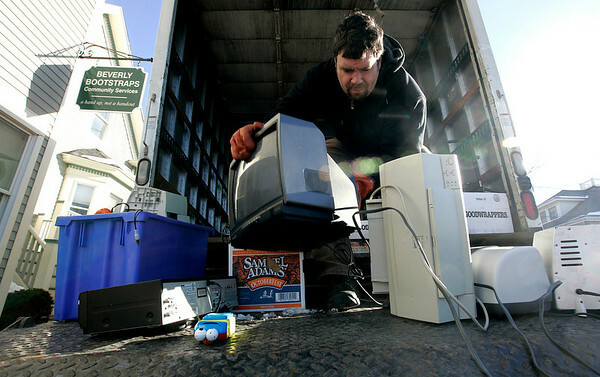 With the help of Toxtour Bootstraps collected used electronics to be recycled ethically with nothing being put into landfills, incinerated as solid waste or dumped into developing countries. Photo by Deborah Parker/Salem News Saturday, January 24, 2009.